John Ludlow, the seventh provost of the University of Pennsylvania, was born in Acquackanonk, New Jersey, in 1793. He attended the Columbian Academy in Bergen, New Jersey, and later Reverend Samuel Whelpley’s school in Newark, New Jersey. He performed so well at Whelpley’s school that he was named head of the Department of English there while in his late teens. When he left Whelpley’s school at the age of nineteen, he joined the junior class at Union College. Ludlow graduated as the Class of 1814’s valedictorian two years later. After graduating from Union College, Ludlow briefly pursued a career in law before turning his attention to the seminary. Ludlow graduated from the Dutch Reformed Seminary in New Brunswick, New Jersey, in 1817 and was named rector of the Dutch Reformed church in New Brunswick that same year. 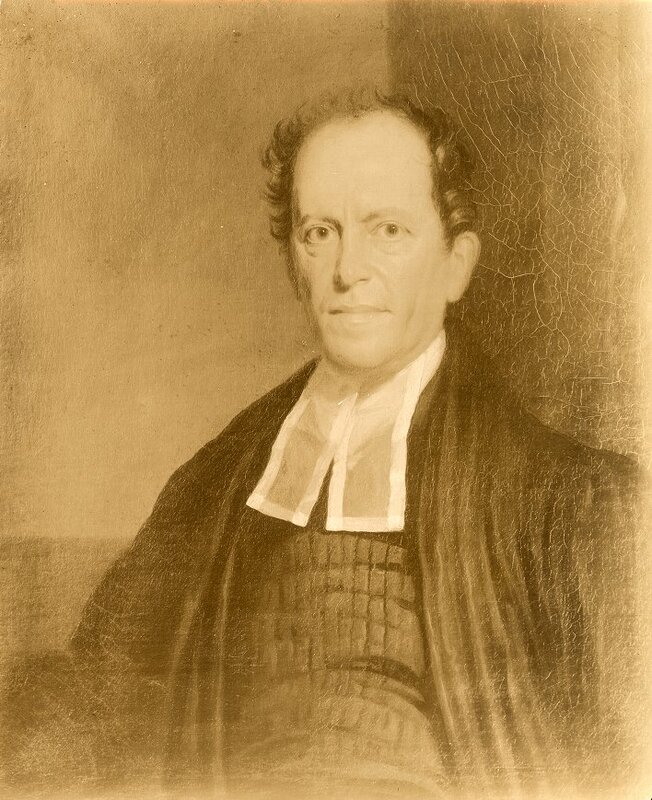 In 1819, while still serving as rector in New Brunswick, he was named professor of biblical literature and ecclesiastical history at his old seminary school. Ludlow remained in these capacities in New Brunswick until 1823, when he was named rector of the Dutch Reformed Church in Albany, New York, where he remained until 1834. During his tenure in Albany, Ludlow was given two honorary degrees from his alma mater, those of Doctor of Laws and Doctor of Divinity, and was offered several jobs at colleges and universities across the country. Ludlow turned down all of these collegiate positions until the University of Pennsylvania offered. In 1834 Ludlow became the provost and professor of moral philosophy in the College of the University of Pennsylvania; he would remain at Penn until 1853. While in Philadelphia, Ludlow gave sermons every Sunday at various churches throughout the region, staying very much in contact with his roots as a preacher. Ludlow contributed greatly to the growth of the University of Pennsylvania; he oversaw the creation of the Law School, the School of Mines, Arts, and Manufactures, and the organization of the Alumni Society of the College. During these years he was on several occasions given the great honor of being asked to lecture in front of the Smithsonian Institute in Washington, D.C. Following his resignation from Penn in 1853, Ludlow returned to New Brunswick where he was given the chair of professor of ecclesiastical history and church government at his old seminary school. Ludlow retained this capacity until his death in 1857. Ludlow had three sons who earned degrees from Penn. John Livingston Ludlow earned his Bachelor of Arts degree with the Class of 1838, and his Doctor of Medicine degree with the Class of 1841; James Ryley Ludlow earned his Bachelor of Arts degree with the Class of 1843 and was given the honorary degree of Doctor of Laws in 1870; and Richard Ludlow earned the degree of Bachelor of Arts in 1852.